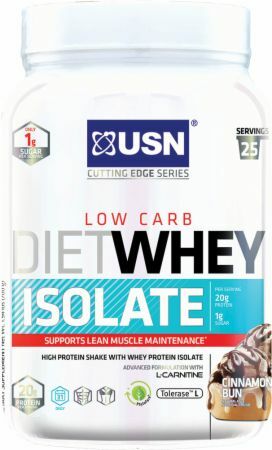 USN Diet Whey at Bodybuilding.com - Best Prices on Diet Whey! 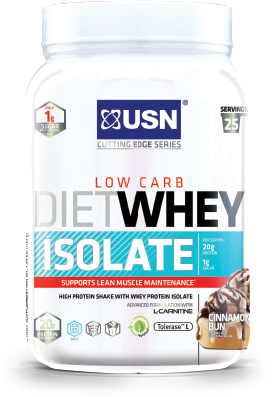 No Diet Whey Isolate Reviews Found. † Percent Daily Value is based on a 2,000 calorie diet. ALLERGEN WARNING: Contains ingredients from milk and soy [as soy lecithin (emulsifier) used in dairy protein]. Made in a facility that also processes sesame, egg, tree nuts, peanuts, fish/crustaceans/shellfish oils, and wheat products. Directions For Diet Whey Isolate : Mix 1 scoop (28g) into 250-300ml cold water and shake well. Have 2-3 servings of DIET WHEY ISOLATE daily. Use at any stage throughout the day when a high-protein drink is required.